Futsal is a variant of soccer that is played on a smaller playing surface and mainly played indoors. Futsal is played between two teams of five players, one of whom is the goalkeeper. The rules create an emphasis on improvisation, creativity, and technique as well as ball control and passing in small spaces. This is a great progression for players seeking to improve their outdoor game. 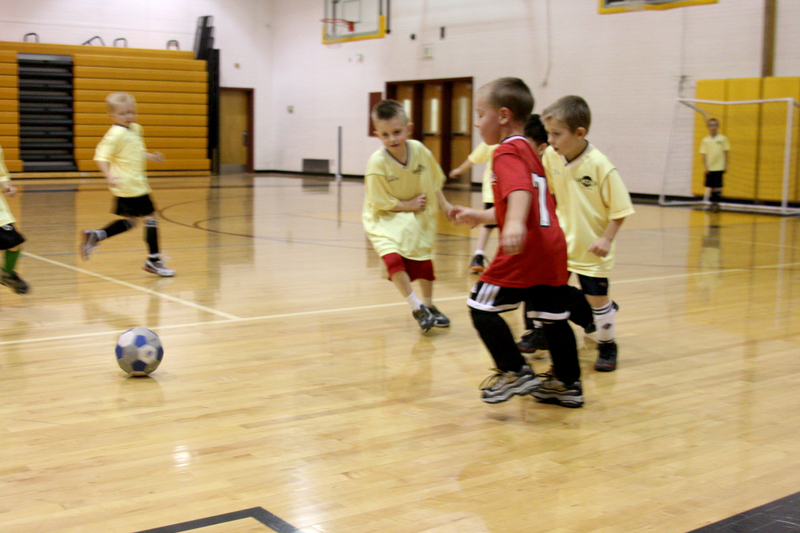 Most of the time Futsal is played in the winter months, since it is wet and rainy outdoors. Local players in the Tri-Valley area from 5 years to 13 old are playing Futsal. Mustang professional trainers will be running the sessions. We have been running this program for about 10 years at Mustang Soccer. The five S’s of sports training are stamina, speed, strength, skill, and spirit; but the greatest of these is spirit. I will win; if I cannot win, I shall be second; if I cannot be second, I shall be third; if I cannot place at all, I shall still do my best. Choose to be good, kind, and tolerant regardless of the situation or who's involved, because life is more a matter of developing character than of dishing out just rewards.